Group Power®YOUR HOUR OF POWER! Blast all your muscles with this high-rep weight training workout. Using an adjustable barbell, weight plates and body weight, Group Power combines squats, lunges, presses, and curls with functional integrated exercises. Dynamic music and a motivation group atmosphere will get your heart rate up, make you sweat, and push you to a personal best! POWER UP! Group Blast® BLAST OFF your workout with 60 minutes of cardio training that uses THE STEP® in highly effective, athletic ways. 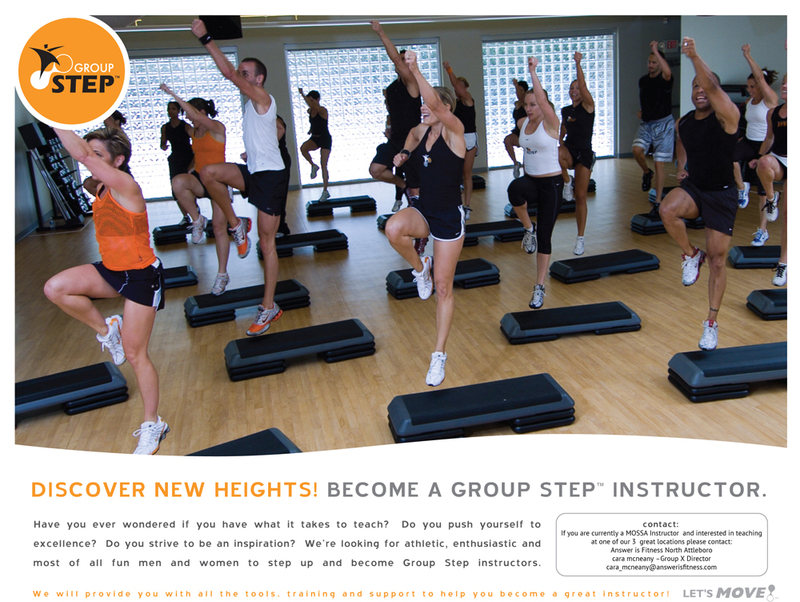 Group Blast® will get your heart pounding and sweat pouring as you improve your fitness, agility, coordination, and strength with exciting music and group energy. HAVE A BLAST! 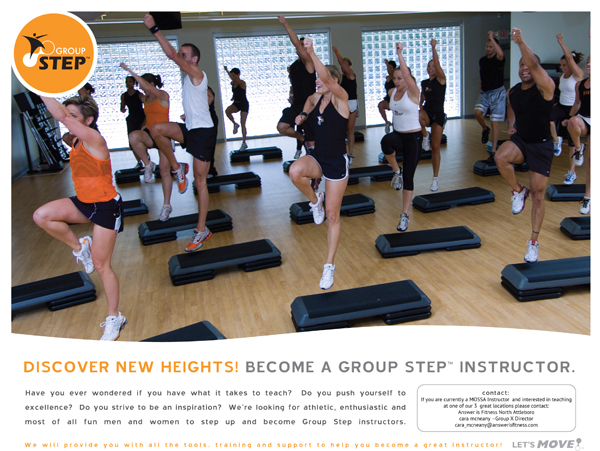 Group Kick® This gripping hour burns a ton of calories and builds total body strength. Tap into the hottest mixed martial arts movements done to a rapid-fire pace to smash your cardio fitness. 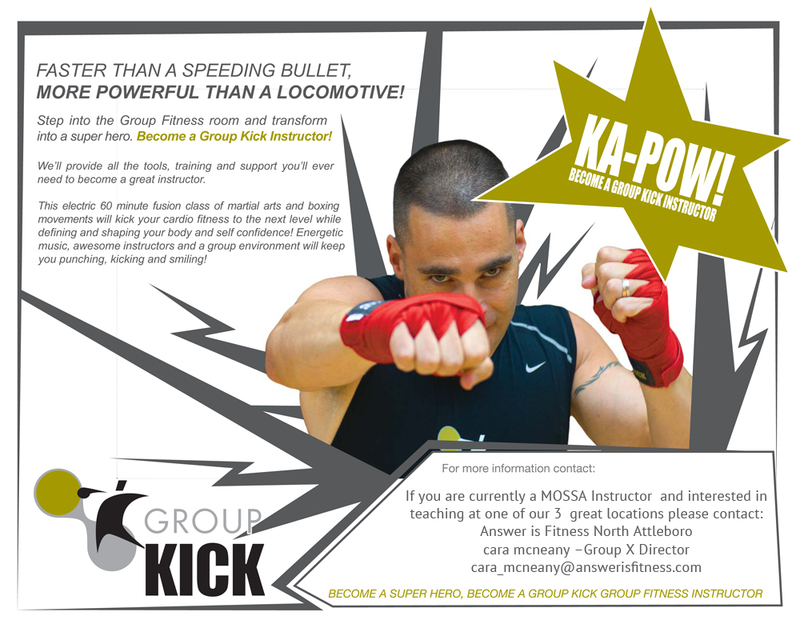 From the boxing ring to the fighting cage, Group Kick combines cutting-edge moves with thrilling music. This electric experience is addictive! BRING IT ON with Group Kick! Group Groove® If you can move, you can Groove. Sweat with a smile during your energizing hour of dance fitness. 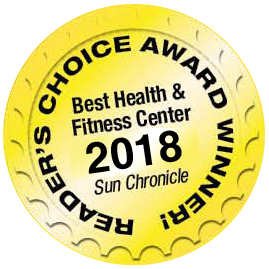 Group Groove is a sizzling cardio experience that is a fusion of club, urban and Latin dance styles set to the hottest current hits and the best dance songs ever produced! Join the party and GET A MOVE ON! Zumba The dance-based aerobics program exploded in popularity in the early 2000s. Zumba makes use of up-tempo Latin music styles such as salsa, cha-cha, reggaeton, mambo and merengue to create an enjoyable, productive workout for all fitness levels. Yoga is an ancient method of unifying body and mind. It is a respectful, mindful way of life that gently promotes emotional, mental, physical and spiritual health through daily exercise, breathing, and meditation. This is a 60 minute workout. Please see our website for detailed descriptions. Pilates focuses on using controlled and precise movements, to strengthen your abdominals and back as well as lengthen your muscles. 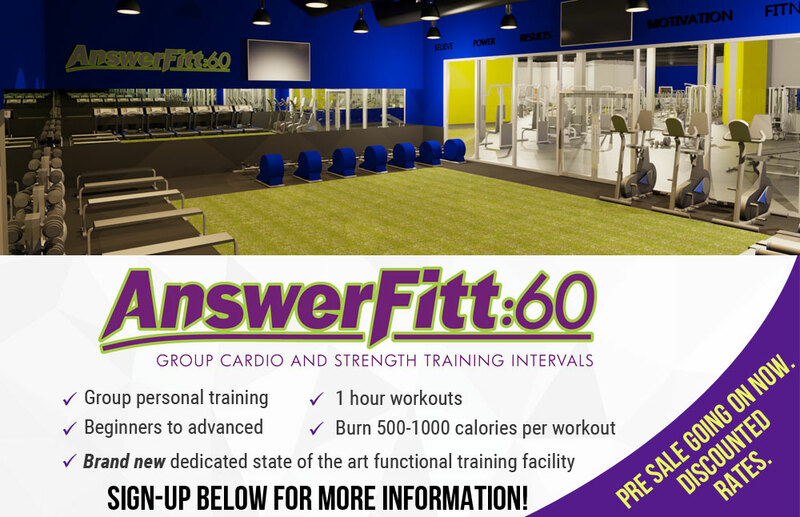 This class will definitely challenge you at any fitness level. Insanity is a revolutionary cardio-based total-body conditioning program based on the principles of MAX Interval Training. By using MAX Interval Training, INSANITY pushes the participant to new training heights, resulting in more calories burned, faster results and more efficient metabolism. All levels of welcome. Cycling is designed for all levels of fitness. This is a great cardio workout! Let the music and instructor motivate you through your workout. A Heart Rate Monitor is recommended, but not required. Space is limited. Sign up is required to attend this class. You must be present at the start of class or you may be subject to losing your spot. Club Arc is performed on Arc Trainers to Club music and Club lights, you will move through various positions and levels of resistance training and have fun doing it! Don’t forget your water bottle and towel you are sure to sweat! Space is limited. Sign up is required to attend this class. You must be present at the start of class or you may be subject to losing your spot. SPARC is 25 minutes of Club Arc & 25 minutes of Cycling. This class will is for all levels. Sign up is required to attend this class. You must be present at the start of class or you may be subject to losing your spot. For your safety and for the respect of others, please be sure to arrive on time. A proper warm-up is needed before any aerobics workout. Thank you in advance for your cooperation. Answer is Fitness does not provide mats for any classes; participants are encouraged to bring their own mat to class. Outdoor footwear is not allowed to be worn in the Group X Room. Please change your footwear before entering the room.